but cannot compete with the satisfaction of taking a great photo. Hell yeah...this is amazing, man. LOVE the tones and shadow. Fav! So true!! Who needs to catch any fish when you can just sit at the water's edge....great silhouette!! Awesome capture and colors. Fav! Love the capture and the quote. FAV. Me like. Nice to have a little something different. Wow! Super wow! Looooooove it! Fav! Very cool. Love the silhouette. Ooooo destined fir the TT,Joey! Awesome, what else can I say that has not already been said. Love it! Oh so true! Love this! Love it...... I didn't recognize this as your shot because of the sunset colors........great caption! What an amazing capture! Beautiful scene, love the composition and shadow. Beautiful!! Needs to be on a wall!! Fav! Superb! 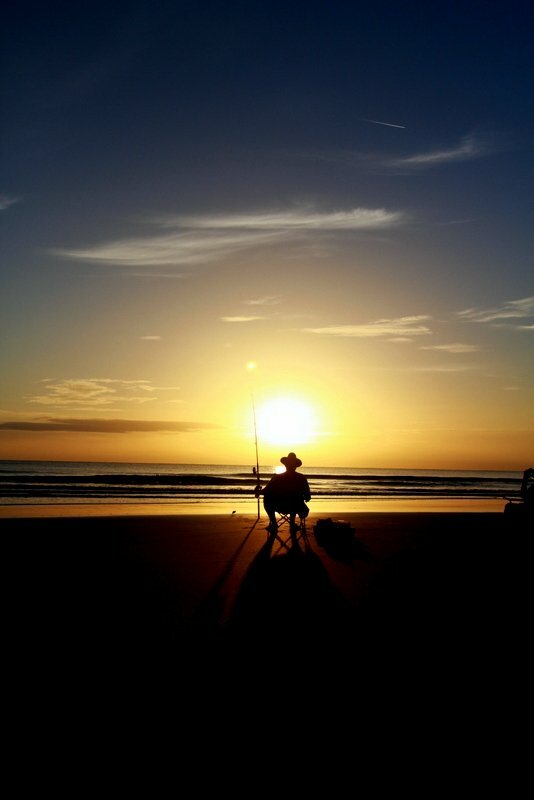 Love the silhouette of the fisherman. Big big fav. I just keep saying, "Aaahhh." I totally agree! This is a beautiful capture of this peaceful scene. Love it. Fav! The lighting and shadows all working together perfectly for this capture! Awesome photograph! A fav... he's placed in front if the sun like a slice of cake... so perfect. Congrats on TT! Beautiful shot. Congrats on your double TT! Congrats on TT for this awesome shot! working every day means you miss shots as wonderful as this - thank heavens it made the TT so I caught it in the end - WOW! Great quote and iconic shot!